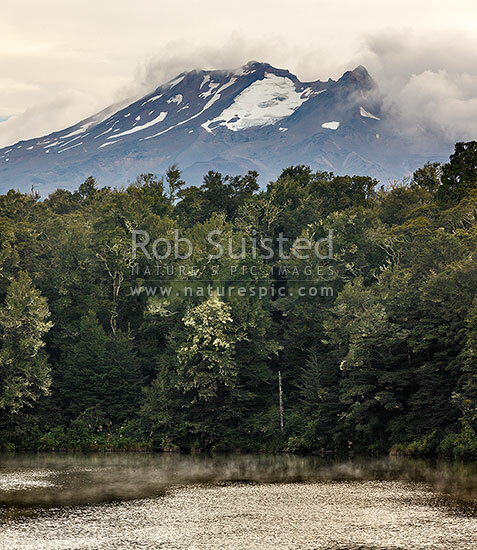 Lake Rotokura nestled amongst forest under Mount (Mt) Ruapehu. Sacred tapu site for Ngati Rangi, tangata whenua. Square format, Karioi, Ruapehu District, Manawatu-Wanganui Region, New Zealand (NZ), stock photo.